Three classmates are helping people living with HIV — and LGBTQ people — find the treatment they deserve. The concept came to Phil Williams and two classmates at the University of Pennsylvania’s Perelman School of Medicine as they tackled a project to identify ways to innovate healthcare. They determined a problem they wanted to solve, then set about building a product that would do so. The result: SpectrumScores, a user-driven, web-based application (and eventually a mobile app) that locates healthcare professions who best meet the needs of LGBTQ patients and those with HIV/AIDS. “When we first started thinking about this, we thought there must be something that exists, but there’s nothing out there that offers the transparency and trustworthiness that members of the community can provide,” Williams explains. The website, at SpectrumScores.org, launched in mid-October and initially covered Philadelphia, Pittsburgh, New York City, and Chicago, with plans to phase in more regions. The brainchild of Williams, Naveen Jain and Jun Jeon, the platform was designed to address a concern: that not all medical professionals are equipped to appropriately treat LGBTQ individuals. 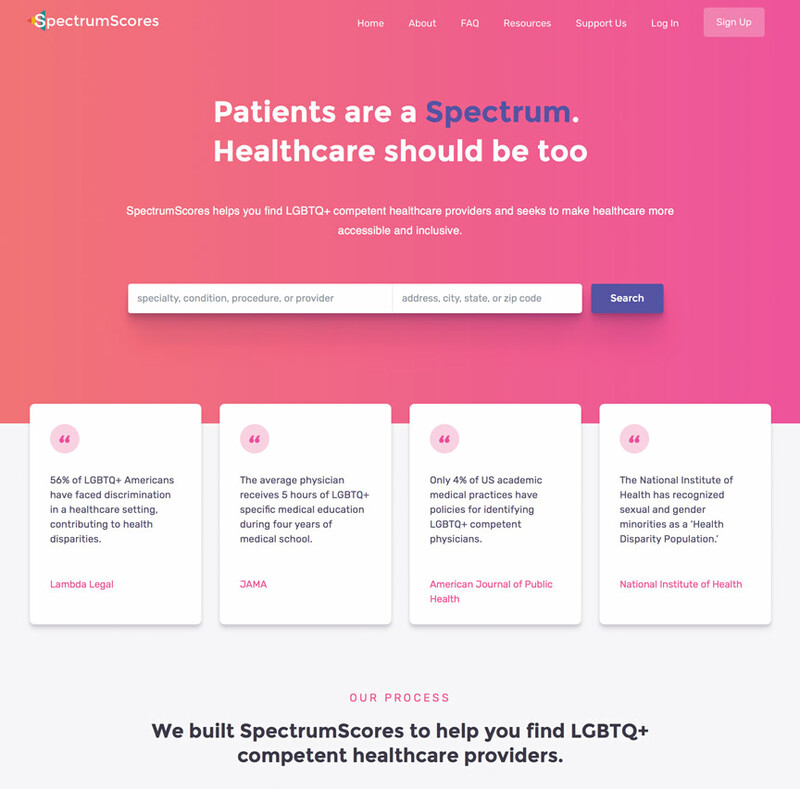 While other organizations provide ways to locate LGBTQ-preferred professionals (such as the helpful directory at metrosource.com), SpectrumScores is also building a review network so users can assess feedback about providers from peers. Users can also sort providers by their affiliation with certain advocacy organizations or academic medical centers and by the types of service they provide. Healthcare professionals are scored according to four primary criteria: providing a welcoming environment; inclusive practices (such as having intake forms that reflect diversity); LGBTQ-specific knowledge (including knowledge about PrEP); and overall satisfaction. “We are hoping — over the long-term — to build a user-driven community where LGBTQ patients can leverage their experience in healthcare and increase transparency to help others to find medical providers to best meet their needs,” says Williams. 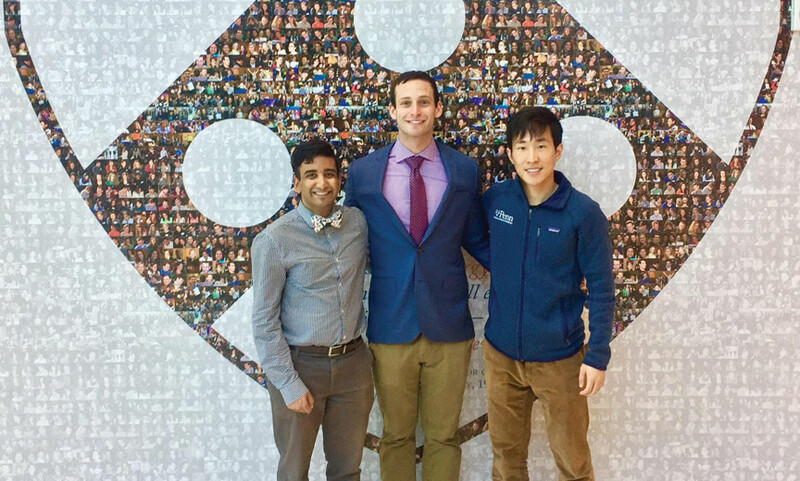 Williams, Jain and Jeon recently enlisted Building Healthy Online Communities – a consortium of public health leaders and gay dating website and app owners who support HIV and STI prevention online – as a partner. And they already are committed to another ambitious goal: they envision building a resource of research and training tools to improve the delivery of healthcare by providers.